After seeing my blog on HMS Victory yesterday Mike Softley emailed me some photographs of a very special model he was involved with. ‘Victory was my second home for a while in 2004/5. 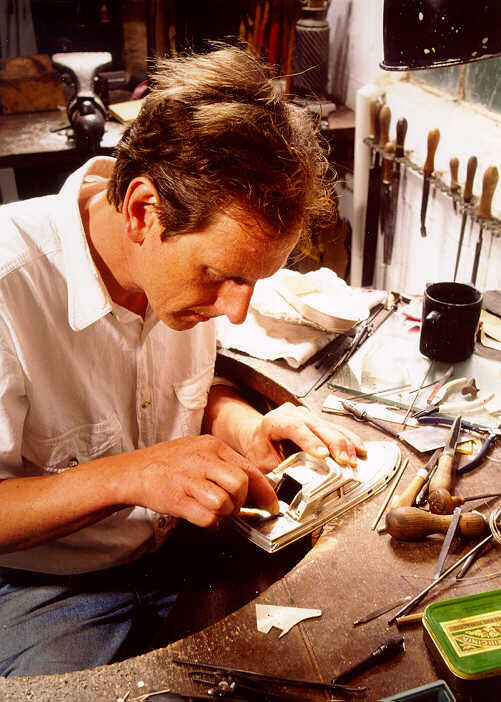 I was making a model of the ship in silver to mark the 2005 celebrations. 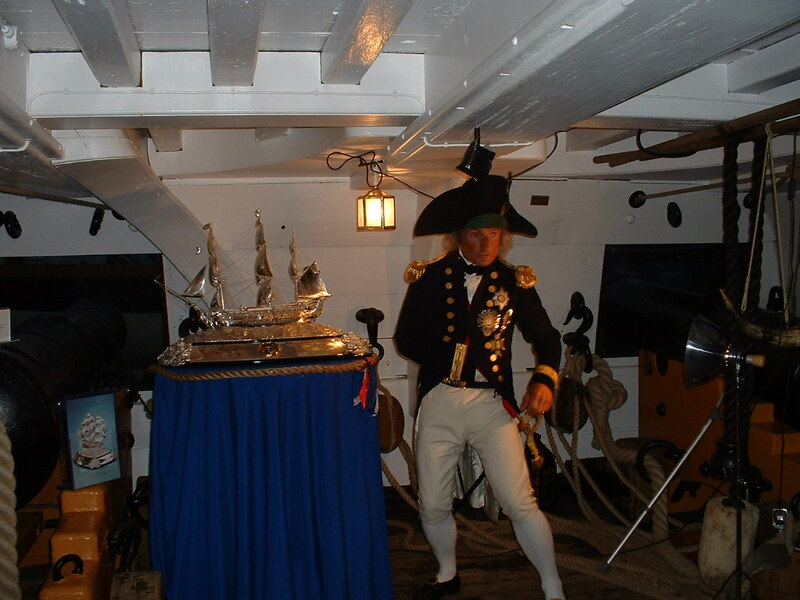 I was lucky enough to have been on board on the evening of 21st October 2005 with my model and was on the gun deck during the 52 gun broadside; I’m not sure whether I was supposed to have been left there, I was certainly alone when the unexpected noise started and the smoke seeped in! 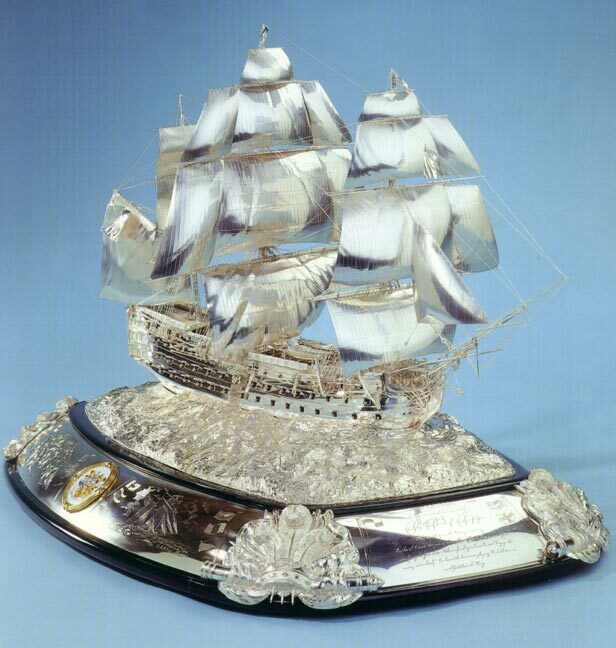 The model was for a time in the National Maritime Museum at Greenwich; it was later given to HRH the Prince of Wales and is now, I believe, in Clarence House. The model depicts HMS Victory just about to engage the enemy, moving slowly with a light following wind on the port stern quarter. Creating the model took 18 months from conception to completion. There are over 1000 separate pieces in the model with two parts of the ship of particular complexity and detail – the beak and the gallery at the stern. The scale is 1:133. Just beautiful! I need one for my library! I’ve read some on the food on the ships. Can you fill us in on some of the food that the officers had as compared to the crew? I’ll add it to the Ask BigJules questions for a future blog. Thanks. I’d like to see better photos from all angles. Now “That” is a model! Well done.